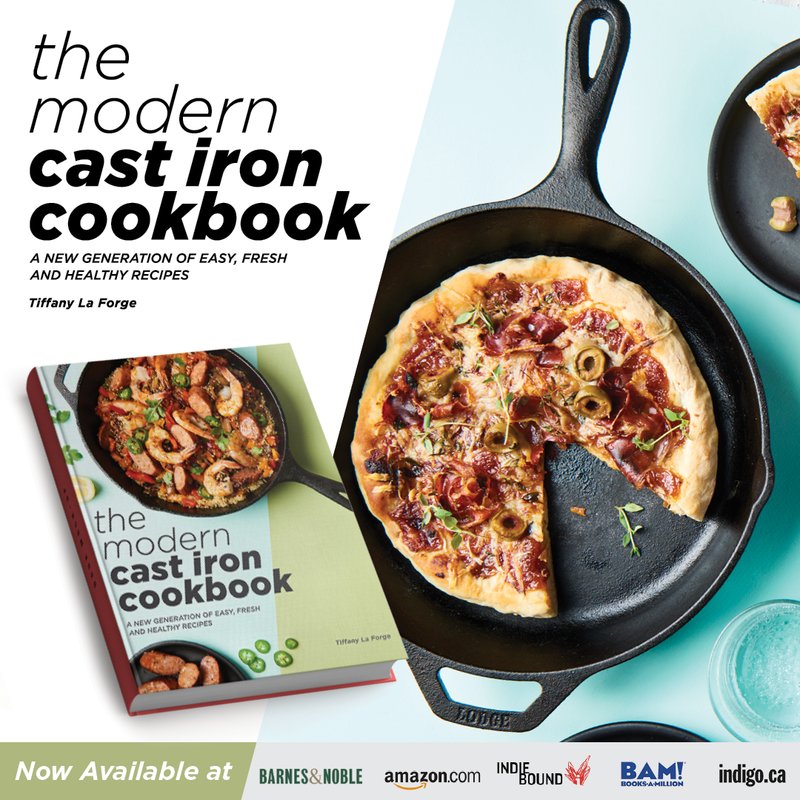 Looking for new ways to use fresh herbs? Fresh herbs add tons of bright flavor to just about anything, from cocktails to compound butters to ice cubes! 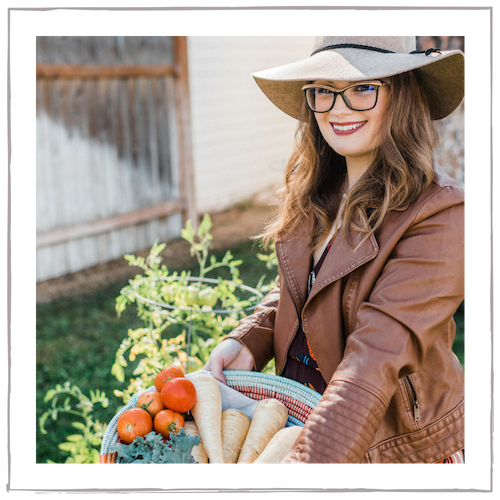 I’ve teamed up with Dorot herbs to get down and herby! Dorot herbs are one of my absolute favorite time and money saving products. They’re fresh herbs, frozen into convenient little cubes. This makes them a snap when it comes to adding flavor to recipes and they’re perfectly portioned controlled to boot. Dorot’s fresh herbs are flash-frozen within 90 minutes of harvest, so you can trust that they’re full of flavor. They have a year shelf-life and are crazy convenient. No prep. No clean-up. No waste. I don’t know about you, but chopping onions, garlic, and herbs can be a pain for me sometimes, especially on crazy busy weekdays. Plus, who needs those onion-induced teary eyes?! I always have extra herbs in the fridge that go bad after I forget about them, too. And I hate throwing away food. I’m more than happy to recommend Dorot’s herbs. Look for their fresh frozen garlic, ginger, dill, parsley, cilantro, basil, chili, and sautéed glazed onions in your store’s frozen vegetable aisle. I conveniently find mine at Trader Joe’s and Whole Foods. 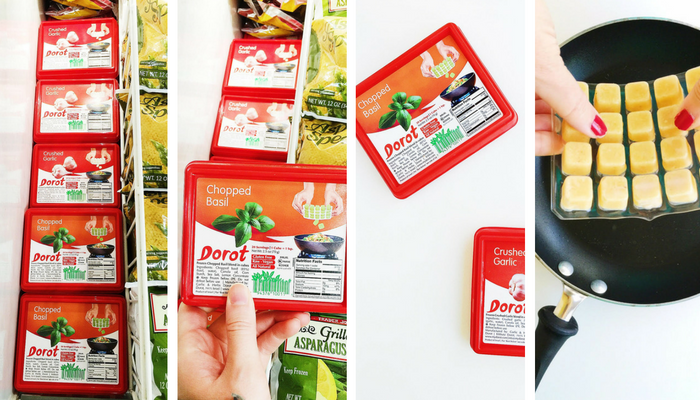 And, even better, here’s a coupon to try Dorot for $1 off! Working with Dorot has made me think of all the new ways to use fresh herbs! Never let herbs go bad again. From compound butters to infused syrups to flavored salts and sugars, these tasty tips add a ton of aromatic flavor to just about anything. Herbs aren’t just for food. Expand your herby repertoire and start adding them to beverages and cocktails. Herb-up iced tea, sparkling water, and lemonades for refreshing, non-alcoholic drinks. Basil, mint, lavender, thyme, and even rosemary are delicious additions to teas and lemonades, especially when paired with fruit. Think basil/apricot/peach, mint/strawberry, lavender/blueberry, thyme/cherry/fig, and rosemary/apple. (Those are my favorite combos, at least!) Channel your inner mixologist and do the same for cocktails. Know all those “craft/artisan cocktails”? I guarantee 90% of them have herbs as an ingredient. Cilantro is terrific in Bloody Mary’s. Rosemary stands up well to whiskey. Lemon verbena is beautiful in lighter, fruity libations such as sangria. And basil and mint are great in just about anything with gin, rum, or vodka. Everyone infuses their water with fruit. Why not add some herbs in there? Flavored waters are always a good idea when it comes to ensuring you get your daily H20 requirements. Some of my favorite combinations include a refreshing citrus-mint water with mint, lemon, lime, and orange slices. Other good combos to try: strawberry/cucumber/thyme, lemon/basil/strawberry, basil/peach, melon/mint, blackberry/sage, and rosemary/pineapple. Get creative, make a big pitcher, and stay hydrated! If you aren’t using fresh herbs to brighten and liven up your salads, you’re missing out. Sure, herbs have a place in mostly all dressings and vinaigrettes. But they can also be used in the salad itself. In Italy, herbs are treated more like greens and used in large, torn pieces and tossed into salads. They can completely transform your everyday salad. Tear aromatic herbs such as parsley, dill, cilantro, basil, sage, chives, chervil, or hyssop. Your salad will have so much flavor that you’ll be happy with much less dressing. Ever tried making flavored sugars or salts from herbs? No? You should! Mix minced herbs and sea salt for an aromatic and delicious finishing salt. To keep salts for storage, dry herbs in the oven before mixing. Rosemary, sage, thyme, and marjoram work beautifully. These salts are perfect on just about anything—meats, seafood, popcorn, roasted vegetables, and more. Additionally, you can infuse sugars the same way. A mint, lemon verbena, or lavender sugar is perfect for sprinkling on fresh fruit. Infuse simple syrups with herbs to add into cocktails or experiment with desserts. Know those fancy, expensive infused oils they sell at specialty stores? Make your own! Infuse fruity olive oil with herbs and garlic to take your meal #NextLevel. Last, but certainly not least: make some herby ice cubes! These frozen gems are perfect for adding flavor to your drinks AND presentation. Fill ice trays with berries, fruit, and herbs for a pretty, tasty garnish. Rosemary and cranberry cubes are simply stunning in holiday drinks and cocktails. Blueberry and lavender ice cubes couldn’t be prettier in fresh lemonade. Plus, up your cocktail game by adding herby cubes. Mint cubes in Mint Juleps, anyone? I hope that you’ve enjoyed this post on new ways to use fresh herbs and that you experiment with some tasty combinations! 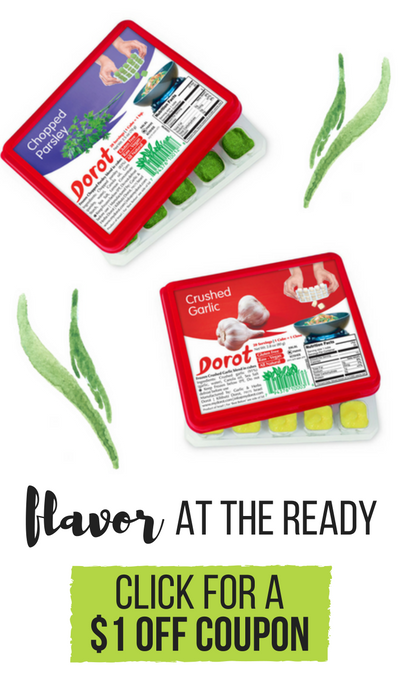 Thank you to Dorot for sponsoring this post and be sure to get your coupon so that you have fresh frozen herbs at-the-ready! Thank you, Gennifer! I totally agree. Thanks, Anna! Compound butters are SO good! Especially a nice fall compound butter with rosemary and sage — yum!